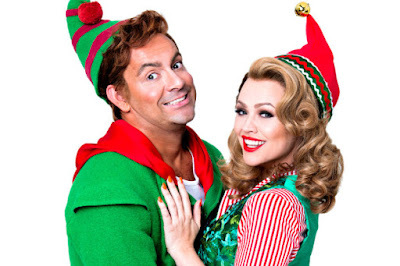 Twelve years after the movie scored itself into the global psyche as a modern day Christmas classic, the musical version of Elf makes its London premiere at the Dominion Theatre. Elf's cute story would melt even the most glacial of hearts as it tells of apparently orphaned Buddy, who is inadvertently swept into Santa's sack and flown back to the North Pole. The movie's success proved the tale's potential for comedy along with much seasonal schmaltz as it follows Buddy's growing up with Santa and his quest to return to New York City to discover his true family. Ben Forster as Buddy steals the show with an un-relenting charm and wide eyed enthusiasm. 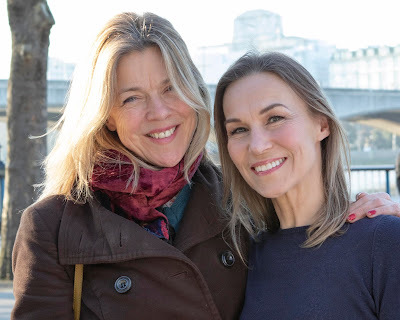 Forster's performance may well be inspired by the movie's Will Ferrell, a tough act to follow for sure, but the young Brit brings something new to the character and does a smashing job of maintaining an upbeat energy throughout the show. 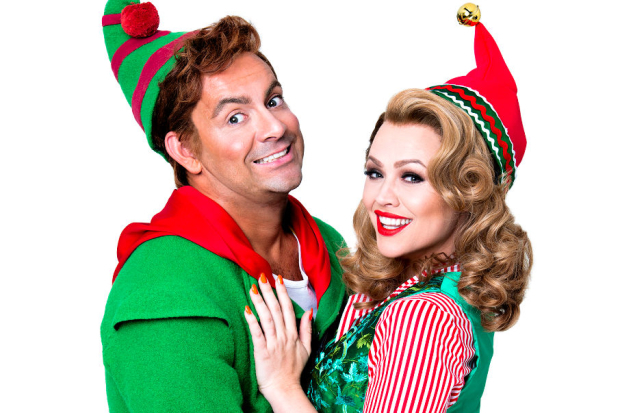 TV and popstar Kimberly Walsh looks and sounds fabulous as Buddy's love interest Jovie, interjecting a perfectly measured counter-balance of humour to Buddy's Christmas enthusiasm. Amongst the cast Joe McGann as Buddy's natural father Walter, who has to learn to love his newly-discovered son, offers up an ultimately touching turn. The elfin Jessica Martin as his wife Emily similarly convinces and there is a standout performance from Jennie Dale as Walter’s secretary Deb. Delivering one of the show's funniest performances, Dale earns rapturous applause from the crowd. The producers have adopted a pricey ticketing approach to this show, with top premium tickets going for an eye watering £250+! Not unreasonably, expectations are stratospheric and they are not met. For that price one might well have expected the movie's famously hilarious shower scene to have been played out on stage in a fully plumbed in set (it isn't). And where Hollywood sprinkled the film with a generous helping of classic Christmas songs, Sklar and Beguelin's numbers (which to be fair are imaginatively staged by Morgan Young, including some lovely tap routines) written for the show are, for the most part, quickly forgotten. And, thinking of the little ones, bear in mind that even for £250, the show is at least 30 minutes too long. But hey, it’s Christmas - and whilst Elf may be little more than typically festive theatre fayre, it makes for a fun night out in the West End. The scenery and projections are smart and they even make it snow inside the Dominion!